Whether you’re looking to find the single perfect drink or build an entire home bar, here are the latest books worth keeping on the shelf. If your New Year’s resolutions included saving money, picking up a new skill, or doing more home-entertaining, consider learning how to shake and stir your own cocktails. While there’s no shortage of resources online, good, old-fashioned books can help narrow down an overwhelming amount of information to the most essential topics and best recipes. 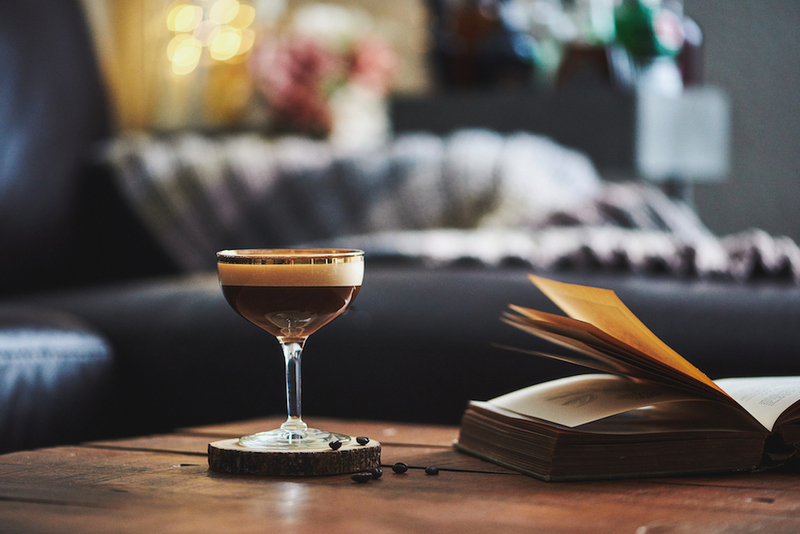 From gorgeously-photographed odes to drinking culture to simple recipe books and guides to tips on how to build a home bar, here are 10 new cocktail books to crack open today. The trio of star-tenders behind New York City’s pioneering Death & Co. have released this gorgeous and geeky cocktail tome that doubles as an excellent coffee table conversation piece. The book identifies six 'root' cocktails—the old-fashioned, martini, daiquiri, sidecar, whiskey highball, and flip—offering variations for those who want to expand on their drink vocabularies. For seasoned bartenders, recipes are interspersed with musings on more advanced techniques like smoking—with wood or with tea leaves?—and rapid-pressurized infusing (get your centrifuge handy!). Bookmark this: The six “family tree” diagrams that can help you find a new drink when you want to try something similar to an old-fashioned (p. 27), martini (p. 85), or sidecar (p. 187). Also, the ultimate guide to common citrus fruits and how to use them in drinks is on page 117. The brainchild of our own Food & Wine Liquor Cabinet Roulette recipe gurus, this playful, user-friendly guide ensures that even the most indecisive drinker can land on the perfect cocktail for any vibe, desired flavor profile, or occasion. The illustrations, flowcharts, and various shortcuts are ideal for navigating options, with recipes ranging from beginner to advanced. Bookmark this: One of the book’s many, super-handy flowcharts designed to help you choose the right recipe for the right occasion, whether you’re throwing a party (p. 16), hosting a brunch (p. 40), or just need a hot drink for a cold night (p. 142). For lovers of the whimsical aperitif, look no further than this page-turning treatise of the history and culture of that chic, often low-ABV style of pre-dinner drink. Read all about how aperitifs took over Europe—and the scientific reason they work to open up your palate—before learning how to make your own spritzes, negronis, and more. Bookmark this: For how casual and carefree this style of drinking is, the hundreds of aperitif-friendly varieties of amari, liqueurs, and spirits can be dizzying. On page 33, Hawkings provides the essential short list of her favorites from Italy, France, Spain, and beyond. In this 15th anniversary update of what’s been referred to as the “Bible of cocktails,” writer and veteran bartender Gary ‘Gaz’ Regan adds dozens of new recipes, along with insight into the trends and shifts that have defined the cocktail landscape since the book was first published in 2003. Bookmark this: A database of cocktail recipes is now a dime a dozen, but Regan, a longtime mentor to young bartenders, captures the more philosophical essence of hospitality work with universally-applicable lessons on mindfulness (p. 80) and thoughtful communication (p. 85). From Sother Teague of New York City’s bitters-centric bar Amor y Amargo comes this long-awaited compendium that reads like a dear friend teaching you how to make cocktails. Teague, also a writer and host of the drinks-focused radio podcast Speakeasy, takes readers on a personal journey told through recipes, with guest bartender spotlights and sidebars on tips and tricks. Bookmark this: Though the book showcases Teague’s versatility in every category from whiskey to tequila, we can’t resist flagging the standout section on amari on page 183—after all, these bitter liqueurs have largely defined his legacy behind the bar. For the home bar project you’ve been putting off, consult this glossy, 256-page text by UK-based drinks expert Henry Jeffreys. Learn how to shop for a starter booze collection without going overboard, and what cocktails you can make with a basic setup. There’s plenty of attention to detail here, with practical advice on glassware and ice storage to ensure your bar is as functional as it is beautiful. Bookmark this: Stocking your home bar is one thing, but finding the right cupboard, cabinet, or bottle rack is another beast altogether. On page 86, Jeffreys takes on this tough task with a practical section on bar-friendly furniture—plus, Pinterest-worthy photographs that may just inspire an entire home makeover in the name of booze. “Dismantle the patriarchy one cocktail at a time,” says the female explorer featured on the cover of this recipe book, which comprises 75 modern cocktails contributed by the world’s leading lady bartenders. With each recipe nodding to an extraordinary woman in history—from Olympic athlete Wilma Rudolph to Princess Diana and former Navy SEAL Kristin Beck—the proudly irreverent book offers a spirited approach to the timely issue of feminism. Bookmark this: On page 158, find a punch recipe inspired by the ladies behind the beloved bartending competition Speedrack. Here, learn about the revolutionary women-only speed bartending competition that raises funds for breast-cancer-related charities, while stirring yourself an excellent punch that layers mezcal and Aperol with Luxardo Maraschino liqueur, pear puree, and lime and grapefruit juices. Whether you’re calling it an early evening or leaving the bar at last call, you might be in need of one final drink before bed. Enter the nightcap. In this concise manual, cocktail journalist Kara Newman offers over 40 excellent ways to end the night, including digestifs to soothe the stomach after a big meal and stiff sippers to warm the soul after dark. Bookmark this: “Too sweet” is a deal breaker for most cocktail drinkers, as it should be. But “sweet” shouldn’t be a problem if done correctly. Starting on page 90, Newman spotlights—gasp—well-balanced dessert cocktails, including an improved amaretto sour and a chocolate negroni that stirs in creme de cacao and chocolate bitters into the standard recipe. Sweet dreams, indeed. Folks, rum is great. I wrote a whole book about it, which the wonderful people @foundrymedia wisely paired with a glass of rum. Get your copy of the book at link in profile, it’ll tell you where to get the rum. Rum, and the larger family that includes rhum agricoles and cachacas, can be a tricky category to define. After all, depending on the definition, rum can be made anywhere, using a base of cane sugar molasses or fresh sugarcane juice. In this boozy travelogue, award-winning drinks writer Bryce T. Bauer’s easy read breaks down the wondrous world of cane spirits—told through nine countries and forty producers–with a handful of classic rum cocktail recipes. Bookmark this: After you’ve schooled yourself on the history and production of rum, jump to page 225 for a comprehensive index of different rum brands–from Bacardi to Mount Gay and Zacapa–that lends insight into their fascinating brand histories and diverse drinking applications. Now that you can find well-made cocktails in every major city, it’s the perfect time to drink your way across the USA and its territories. But if plane tickets aren’t in your cards at the moment, this book showcases the highlights of regional drinking culture and the local circumstances that birthed some of America’s most famous cocktails. Bookmark this: The East and West coasts are often credited for all of the innovation in cocktailing, but let’s not forget the distinct flavors and styles of flyover country. Dive into a section on the Midwest (p. 93) to discover Detroit’s legendary Last Word cocktail; or head down to the American southwest (p. 119) to whip up a warm-weather Santa Fe Cooler.